Katarraktis. 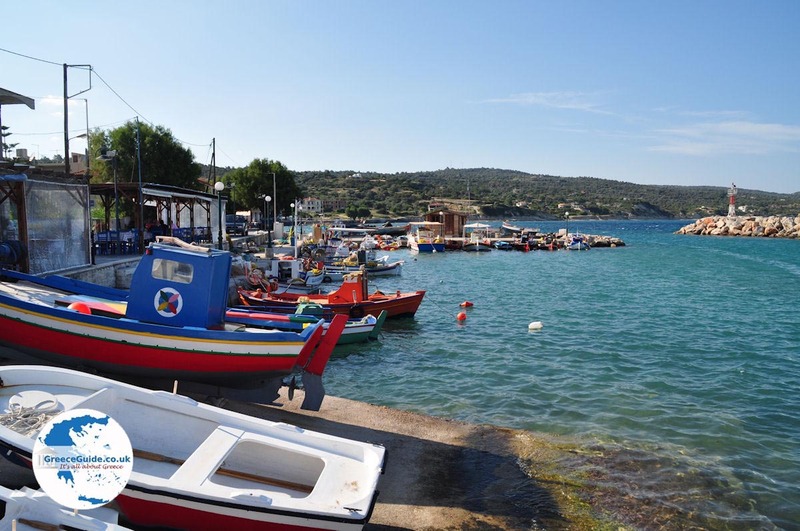 The coastal village of Katarraktis on the greek island of Chios is characterised by many restaurants and tavernas on the beach and harbour of the village. 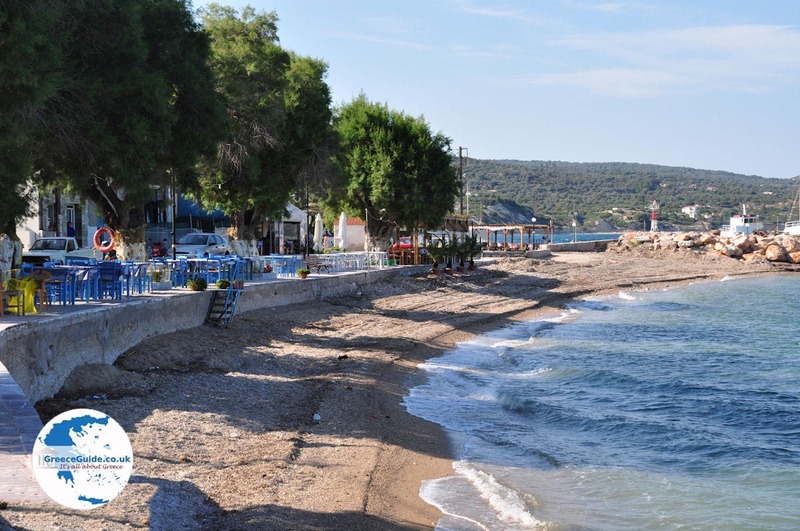 The village is located about thirteen kilometres south of Chios Town. At the harbour you'll see small fishing boats. 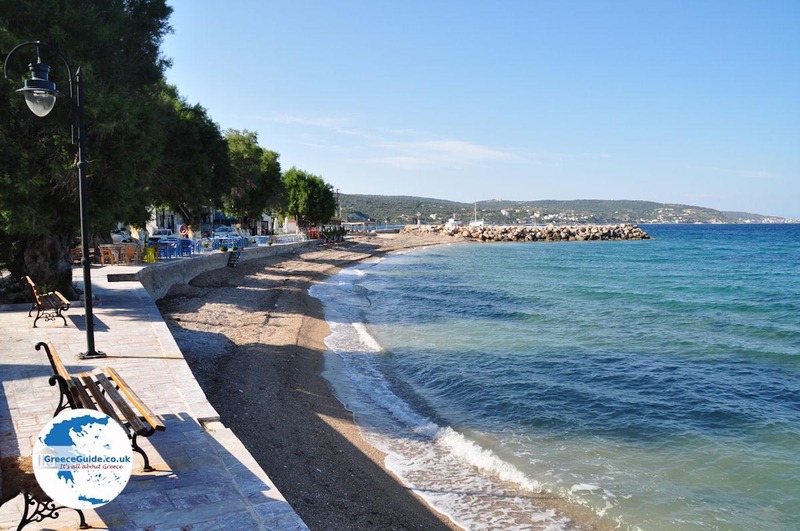 The narrow sandy beach lies in front of the restaurants and tavernas. 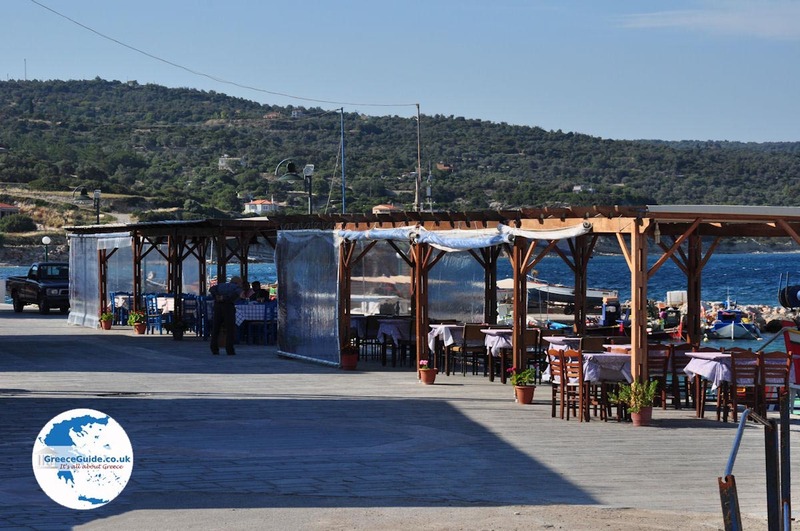 The village is surrounded by a green area full of olive trees and mastic trees. About five hundred people live in the village, it is mainly fishermen or farmers. 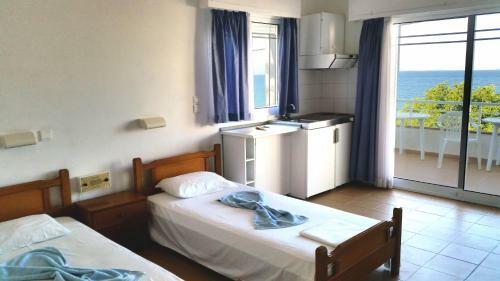 During summer, these people are occupied with tourism. The original Katarraktis was not located here, but a little further up the hill. Here was the castle of the Genoese Giovanni Della Rocca, a fortress that was completely destroyed by the earthquake in the year of 1881. In addition, there was a waterfall here that is no longer visible. 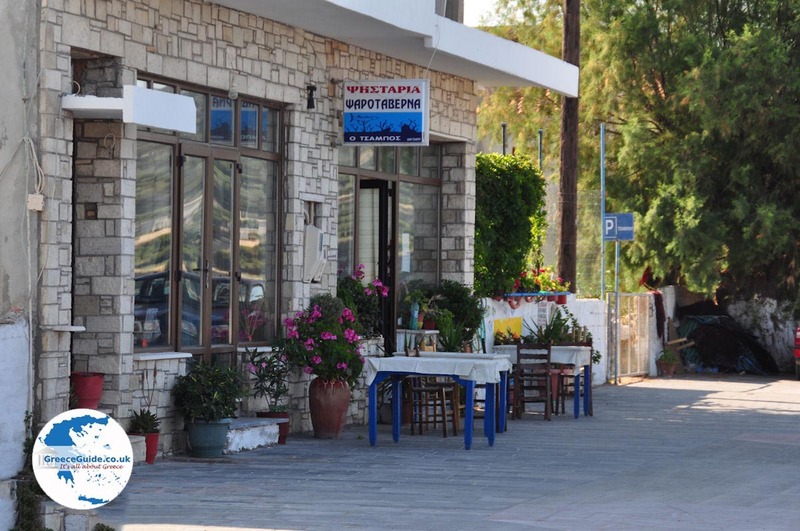 The village has received the name because of the waterfall; Katarraktis in Greek means waterfall. 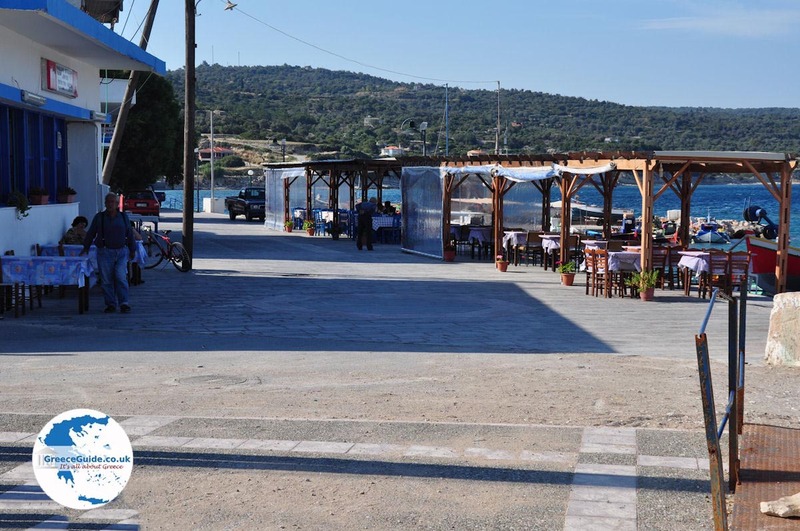 Near the village is the basilica of Agios Ioannis Argentis from 14th century which has been completely renovated. 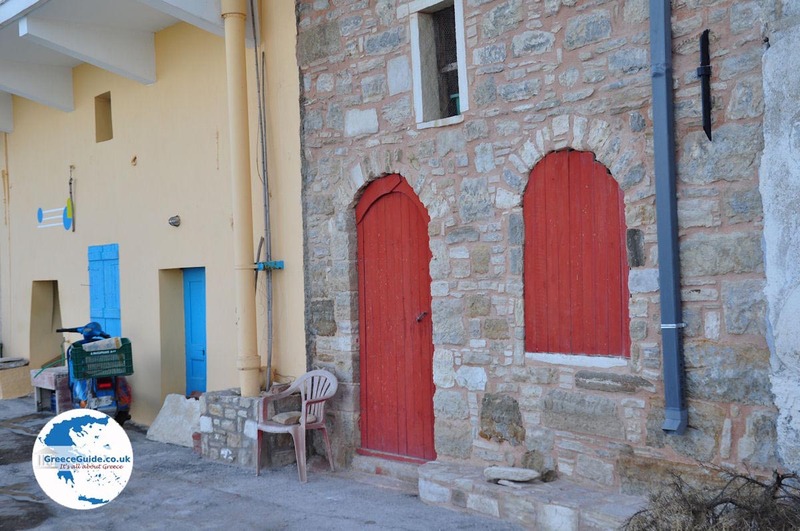 Basically the "new" Katarraktis a village founded by the people who survived the tragedy of the catastrophe of Chios in 1822. They built the present Katarraktis on the spot of the hamlet Faleros. The name Faleros would originate from the name Voleros, which was a prominent Byzantine family who played an important role in contemporary society. 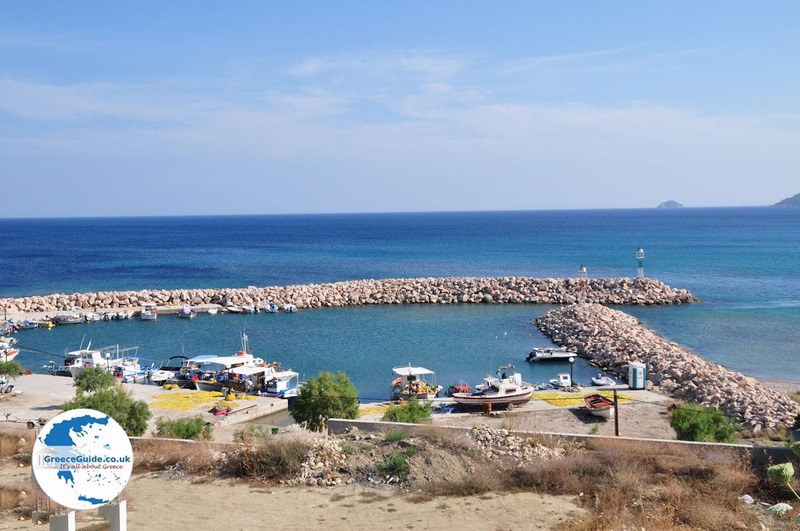 What is also special in Katarraktis is the sunken village which lies in the sea, a short distance from the coast. With a small fishing boat, one can clearly identify ruins in the water. Probably after a massive earthquake the ground dropped considerably, making the village disappear into the water. 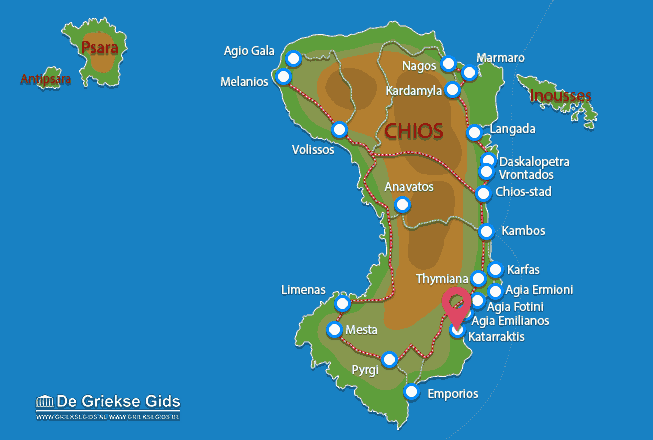 Chios: Where on the map is Katarraktis located?